Gender reveal parties! 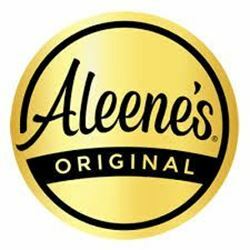 You’ve seen them everywhere and now it’s time for you to have one! Instead of just telling everyone what you’re having, throw a party and let everyone get just as excited! 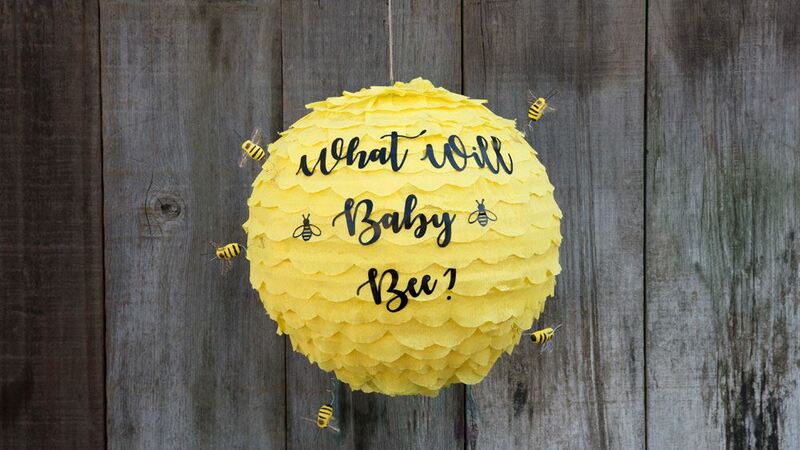 Everyone is thinking, “What will the baby be,” and actually that makes a great theme for the party! 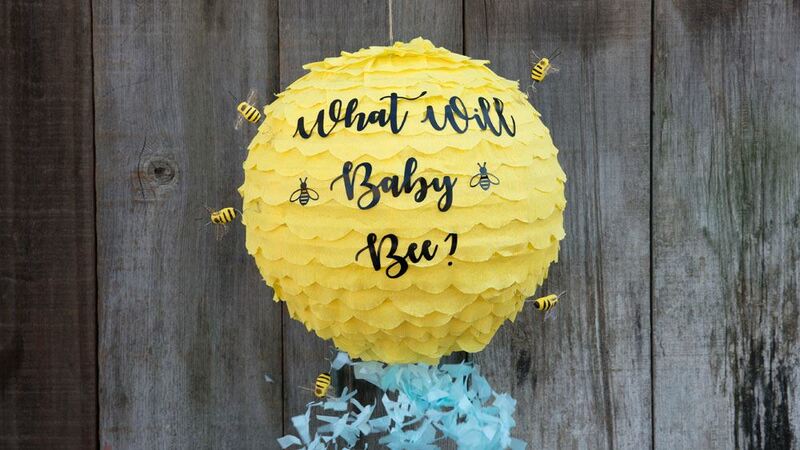 Bumble bees everywhere and when it’s time to reveal the gender, a bumble bee piñata! Pull the string and reveal! 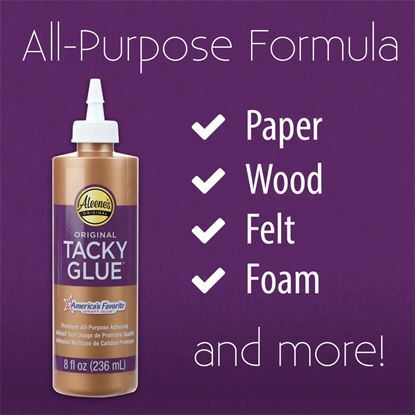 Aleene’s Original Tacky Glue makes it easy to create this super cute piñata right at home! 1. Cut yellow tissue paper into scalloped strips. 2. Cut blue or pink tissue paper into small squares. 3. Cut a piece of paper into a circle slightly larger than the bottom opening. 4. Cut to the center of the circle and slide the twine to the middle and tie a knot. 5. Tape down the piece of paper, covering the opening with the twine hanging out the bottom. This will be the pull handle. 6. Fill the piñata with blue or pink tissue paper confetti and glue tissue paper to the top of the piñata to close it. 7. Glue the scalloped strips to the lantern starting from the bottom making sure the strips overlap. Let dry. 8. Use stickers to add desired phrase. All you have to do now is pull! The confetti flies down and now you, your friends and family can all enjoy the gender reveal of your baby! Get ready to have a new bee buzzing around the hive!